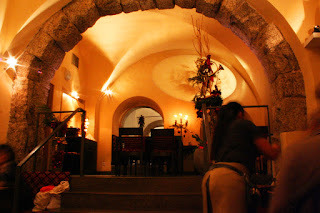 During a trip to Würzburg to visit the famed Würzburg Residence and the town’s Christkindlmarkt, my wife and I popped in to the Würzburger Rathskeller for what we had intended to be a light snack before catching our train back to Frankfurt. A delightful place situated just steps from the town’s main square, the Würzburger Ratskeller was immediately warm and inviting. 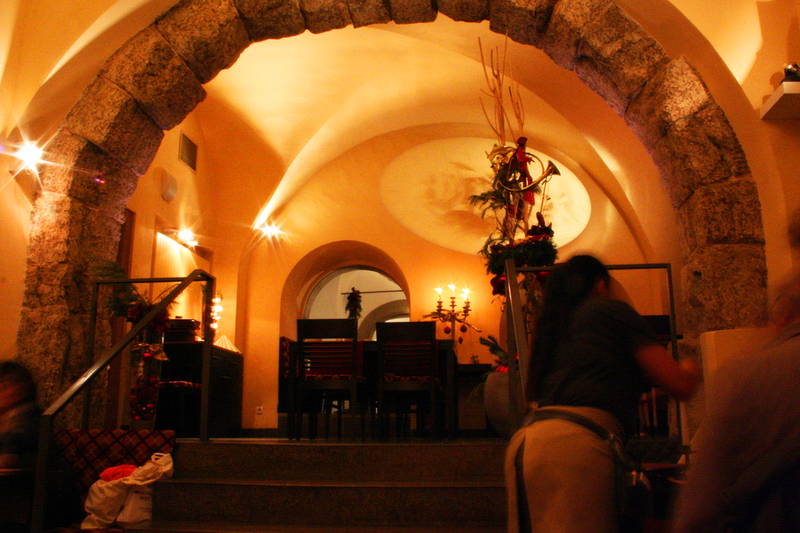 Unlike many restaurant in Germany where patrons simply head for any open spot, the Ratskeller had a hostess who showed us to our table in one of the many distinct dining areas the establishment has to offer. Our server was with us within minutes and, after learning that we both speak a bit of German, offered us wine and food menus in both languages. The restaurant offers a wide variety of local wines by 100 ml or 250 ml pours, with the smaller size excellent for comparing and contrasting. That made it possible to sampled four wines, including two Silvaners (a varietal of white grape), a Riesling (“Trokken” or “dry”) and a white burgundy. 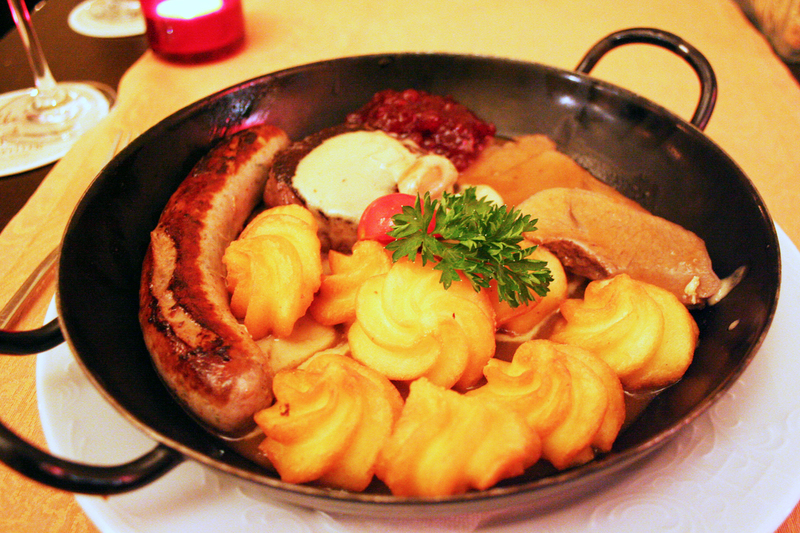 Our appetites whetted, we decided to share a Wildererpfännchen, a plate of comprising a venison medallion, sliced venison and venison sausage on juniper sauce, with duck potatoes (a variety with a flavor that complements game dishes quite well), creamy mushrooms and cranberries. The venison medallion and sliced venison were prepared medium-rare, which is about the most one should cook game, which is leaner than most farm-raised meat. Cooked beyond medium-rare, the meat dries out quickly and loses much of its flavor. As prepared, the meats and the sausage were all absolutely delicious with just a hint of the meat’s signature game flavor. Maybe it was a light snack by German standards but we headed back to the train station fully satisfied, and yet eager to head back for another round. Hopefully in the not-too-distant future.